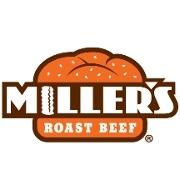 Miller's Roast Beef is a family owned and operated restaurant since 1972. We pride ourselves on ensuring that the customer experience is "Magical". We recognize that without our loyal customers - we would not exist - so for this we thank you!